residence brand has maintained its relevancy in the hospitality industry throughout the years. Having worked for The Ascott Limited (Ascott) company for fourteen years, Darren Cher has seen the company grown exponentially from a primarily Asia focused brand to become a global brand of serviced residences. Currently the Country General Manager for The Ascott Limited in Malaysia since 1 st February 2018, Cher is very keen to lead the serviced residence brand forward to become one of the top hospitality players in Malaysia. The serviced residence arm of CapitaLand Limited, The Ascott Limited in Malaysia established its first flagship property in the country, Ascott Kuala Lumpur at Jalan Pinang in the KLCC area in 1999. Over a period of nearly two decades, the serviced residence brand has since opened and operating currently a total of eight properties and 1,700 serviced residence units across Malaysia: Ascott Kuala Lumpur, Ascott Sentral and Somerset Ampang in Kuala Lumpur, Somerset Damansara Uptown in Petaling Jaya and Citadines DPulze in Cyberjaya, Selangor, Somerset Puteri Harbour and Somerset Medini in Iskandar Puteri, Johor, and Citadines Uplands in Kuching, Sarawak. in 2021. In addition, the serviced residence brand will also make its way to one of the four islands designated for the Melaka Gateway Project in Melaka in 2020. “Malaysia is one of the fast-growing economies in South-East Asia, if not, Asia. We expect foreign direct investment to Malaysia to increase with more corporations and companies setting up shop here. We will be present where developments of key infrastructure projects are,” shares Cher with an unmistakable note of excitement in his voice. 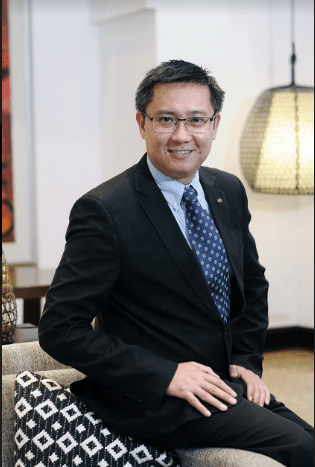 Apart from the business sector, he believes that brands under The Ascott Limited portfolio will be relevant for the growing middle-class group in Malaysia who travel for leisure especially domestic travel. “With domestic travel, there will be demands for serviced residences. Our apartment units are spacious, thus a family can book a unit which comes with a kitchen, washing machine and other facilities. Serviced residences will catch on as an alternative option to hotels,” Cher elaborates. As far as inbound tourism is concerned, the Chinese tourist market is not unfamiliar with the brands within The Ascott Limited. “Ascott Kuala Lumpur, Somerset Ampang Kuala Lumpur and Somerset Puteri Harbour Iskandar Puteri are ranked among the top properties for the Chinese – it helps that we have a vast presence in China with over 50 operating properties and another 50 in the pipeline, thus Chinese tourists are familiar with our brands and the concept of serviced residences and would not hesitate to stay with us when they travel abroad. While the Chinese group is one of our key markets, other important nationalities include the Japanese, Koreans and Indians as well,” says Cher. “The exponential growth in the number of units that we operate and manage as a group has been truly remarkable. From a single property established on Scotts Road in Singapore in 1984 to 74,000 apartment units and 500 properties worldwide is a milestone that we are proud to be associated with,” says Cher with a sense of pride. The serviced residence group had marked its 30 th anniversary in 2014. Throughout the three decades, the brand went through a period of mergers and acquisitions which resulted in its expansion across the United States, Europe, Australia and Africa, thus strengthening its position as one of the leading international serviced residence brands in the world. To keep up with evolving consumer trends, the Ascott will be launching a new brand Lyf (pronounced as life) specifically targeting the millennials and the young at heart. It embodies a new lifestyle of co-living, providing guests ample opportunities to connect, collaborate and bond as a community when they check in. “Lyf provides communal spaces that cater to millennials’ needs and preferences. We have set up a trial lab in Singapore Management University and the first properties will open in China and Singapore within the next few years. We hope to bring Lyf to KL as well,” reveals Cher. “We have different brands to cater for different customer needs based on their preferences. Ascott provides refinement and luxury, Somerset is homely and luxurious, Citadines provides convenience to relax after a long day, and Lyf is for millennials and the young at heart with an emphasis on co-living spaces. Diversity in our brands targets for various customer needs,” says Cher. Cher advises that the Ascott is more than just a serviced residence company. The company’s vision is to be a full fledged accommodation provider and looking beyond just serviced residences to exploring student housing and even senior living in the future. “We will provide the full range of options for our customers’ life cycle. Both our guests and staffs can have a lifelong experience with Ascott!” Cher quips.